Mumbai: As the Mumbai hotels struck in last month’s terrorist attacks prepare to reopen after three weeks of repairs, competitors across the nation’s financial capital are bracing for more sustained damage. Metal detectors and security guards now greet visitors at some of Mumbai’s five-star hotels, as the assault on the Taj Mahal Palace and Tower hotel and the Oberoi-Trident complex forces the industry to adjust to a grimmer reality. 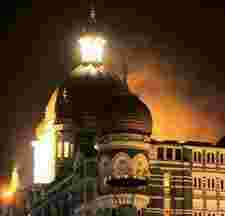 Bookings at five-star hotels may have dropped by two-thirds since the attacks, said Suresh Kumar, owner of Mumbai’s Seagull Tours and Travel agency. Typically, most top-rated hotels are packed with business and leisure travellers around this part of the year, but this year most of them are only about a third occupied. At the Marine Plaza hotel, located about 200m north of the Trident and Oberoi hotels, occupancy has tumbled to less than 50% from 92% before the 26 November assault, said general manager Sanjeev Shekhar. Business at the hotel’s restaurants have roughly halved, he said. “We have had a lot of cancellations because of the terror attacks," said Shekhar in an interview. The impact over the long term will be very bad. Foreigners won’t come back for a while. Guests and staff at the luxury hotels were shot by terrorists armed with automatic weapons, grenades and explosives. The militants also struck a railway station, a Jewish centre and a cafe during the 60-hour siege, India’s worst terrorist attack in 15 years. Mumbai is going to take a terrible hit, said Akash Sheth, chief executive officer of Raj Travel and Tours Ltd. in Mumbai. Five-star hotels will get badly hit, both in the in-bound corporate and leisure segments. The 105-year-old Taj’s newer tower wing, with 278 rooms, is scheduled to reopen on Sunday. EIH Ltd’s Trident, located about two miles west of the Taj, also plans to resume operations that day. EIH hasn’t said when the Oberoi will be ready to receive guests. The Taj’s heritage wing may not reopen until March 2010, Parag Gupta, an analyst at Morgan Stanley in Mumbai, said in a note on 11 December. The hotel, with antique furniture, Belgian chandeliers and 19th century paintings and artwork, has hosted celebrities including Madonna, Gregory Peck, Nelson Mandela, Brad Pitt and Angelina Jolie. India’s hotel industry was already slowing before the attacks, after the supply of rooms increased in major business and tourist destinations during a four-year economic boom. The economy grew in the quarter ended 30 September at the weakest pace in four years, curbing travel demand. Growth in average room rates slowed to 11% in the seven months ended 31 October from 16% a year earlier, Citigroup Inc. analyst Ashish Jagnani wrote in a 2 December note. The average occupancy rate declined to 64.1% from 66.8%, he estimated. Jagnani downgraded Indian Hotels to hold after the attacks, and kept a sell rating on EIH. Unlike previous terrorist attacks in India, this one targeted locations where foreigners gather, a shift that may drive wealthy tourists away, travel agents said. Overseas travellers are now faced with the factors of recession, terrorism and the fear that foreigners were targeted in the Mumbai terror attacks, Jyot Jhaveri, general manager of Birla Viking Travels Pvt. Ltd in Mumbai, said on 8 December. Half of the inbound travellers have cancelled India plans, while the rest have postponed their trips to January. EIH, India’s second-largest operator of hotels, gets about 38% of its revenue from the Mumbai hotels, Citigroup’s Jagnani estimated. EIH’s earnings are likely to decline this year and the next, he said. Indian Hotels Co. Ltd, the nation’s largest hotel company and parent of the Taj, will be forced to spend about Rs440 crore to renovate the property, which accounts for 12% of the company’s total revenue, Gupta estimated. Indian Hotels is likely torecord a loss in revenue of Rs82.3 crore for the year ended 31 March, and Rs140 crore for the following year, he said. Sarita Hegde Roy, director for public relations at the Taj, and Richa Thakur, a communications manager at the Oberoi, didn’t reply to emails and phone calls. Indian Hotels has dropped 11% since 26 November, compared with an 8% advance in India’s benchmark Sensitive Index. EIH has gained 29% in the same period. Indian Hotels will record an 18% drop in the average room rates for luxury, business and leisure bookings for the year starting 1 April, according to Morgan Stanley’s Gupta. Some hotels have already begun slashing rates, said Seagull’s Kumar. Hotels are informally offering discounts of about 20% to attract tourists, he said. The hotels want to avoid cutting tariff upfront for fear of officially admitting their rooms are going empty.